Multi-purpose silicone spray for food processing and handling applications. It forms a colorless, odorless, non-staining film that lubricates and insulates in most metal to non-metal applications. 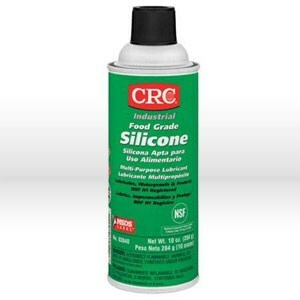 Silicone film eliminates binding and sticking, while protecting most surfaces. In addition, it may be used as a release agent.